We use files known as cookies on Mercedes-Benz Club Italia to improve its performance and to enhance your user experience. By using Mercedes-Benz Club Italia you agree that we can place these types of files on your device. There are many functions that a cookie can serve. For example, a cookie will help the website, or another website, to recognise your device the next time you visit it. Mercedes-Benz Club Italia uses the term "cookies" in this policy to refer to all files that collect information in this way. Certain cookies contain personal information – for example, if you click on "remember me" when logging on, a cookie will store your username. Most cookies will not collect information that identifies you, but will instead collect more general information such as how users arrive at and use Mercedes-Benz Club Italia, or a user’s general location. What sort of cookies does Mercedes-Benz Club Italia use? Some cookies are essential for the operation of Mercedes-Benz Club Italia. These cookies enable services you have specifically asked for. Mercedes-Benz Club Italia may also allow third parties to serve cookies that fall into any of the categories above. For example, like many sites, we may use Google Analytics to help us monitor our website traffic. Please remember that if you do choose to disable cookies, you may find that certain sections of Mercedes-Benz Club Italia do not work properly. 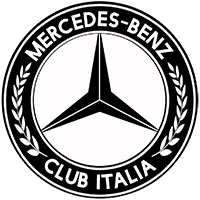 Mercedes-Benz Club Italia may have links to social networking websites (e.g. Facebook, Twitter or YouTube). These websites may also place cookies on your device and Mercedes-Benz Club Italia does not control how they use their cookies, therefore Mercedes-Benz Club Italia suggests you check their website(s) to see how they are using cookies. To comply with the GDPR you need to be made aware that your Mercedes-Benz Club Italia account will, at a bare minimum, contain a uniquely identifiable name (hereinafter “your user name”), a personal password used for logging into your account (hereinafter “your password”) and a personal, valid email address (hereinafter “your email”). Your information for your account at Mercedes-Benz Club Italia is protected by data-protection laws applicable in the country that hosts us. Any information beyond your user name, your password, and your email address required by Mercedes-Benz Club Italia during the registration process is either mandatory or optional, at the discretion of Mercedes-Benz Club Italia. In all cases, you have the option of what information in your account is publicly displayed. Furthermore, within your account, you have the option to opt-in or opt-out of automatically generated emails. Furthermore we will store all of the IP address that you use to post with. Depending on your preferences Mercedes-Benz Club Italia may send you emails to the email address that Mercedes-Benz Club Italia holds in your account which will either be that you used when you registered or one that you have subsequently changed, but you are able to change these preferences from your User Control Panel (UCP) at any time should you wish to stop receiving them. The personal details that you gave us when you signed up, or added later, will be used solely for the purposes of Mercedes-Benz Club Italia board functionality. They will not be used for anything else and neither will they be passed on to any third party without your explicit consent. You can check, at any time, the personal details Mercedes-Benz Club Italia is holding about you from the Profile section of your UCP.